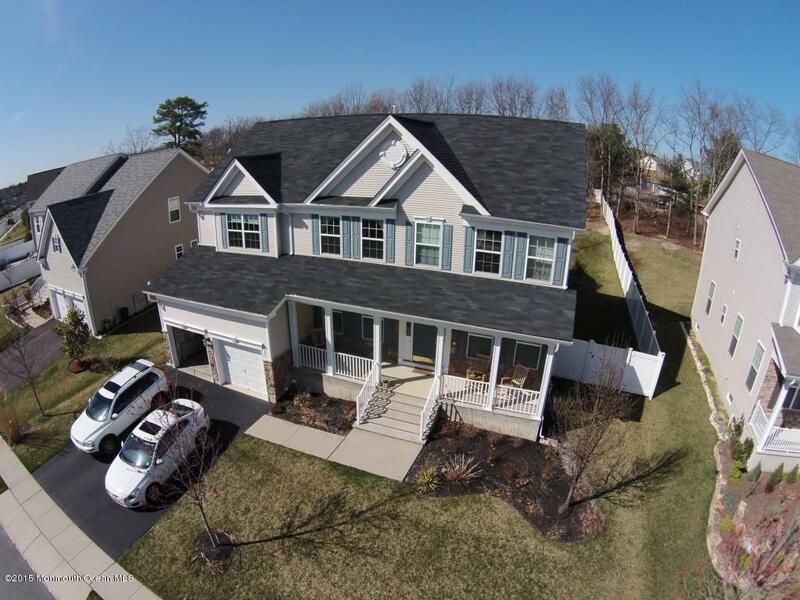 This spacious 4 bedroom 2.5 bathroom colonial home offers an open floorplan. The entryway will charm you with brand new rustic flooring running throughout the living and dining rooms, the extended family room as well as a main level room that can be a fifth bedroom, a den or an office. There are many upgrades in this home including a cozy front porch, a bay window in the den / office, top of the line Samsung stainless steel appliances, a convection range, an open balcony overlooking the cathedral height family room, an outside / inside intercom system throughout, a premium lot and an unfinished upgraded 9 ft ceiling basement with rough plumbing ready to set up for a bathroom.